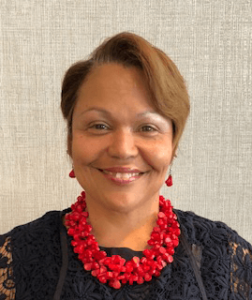 An accomplished technology executive with over 20 years of experience in highly-matrixed organizations, Vicki Wright Hamilton is a visionary with an eye for operational excellence that balances people, processes, and technology. As a trusted advisor to business leaders and executives, Vicki provides consultative services on transformational initiatives, regulation and compliance issues, and risk management strategy. Vicki has an innate ability to conceptualize, design, and execute innovative technology plans that have yielded net returns of $20M and greater to promote organizational growth and meet financial objectives. Acting as the Chief Information Officer and SVP during her consultancy tenure, and Chief Operating Officer in a full-time capacity at Cinema Screen Media, Vicki has leveraged her expertise to guide companies through change management initiatives while realizing optimal employee perfor-mance and maximum financial returns. Vicki is adept at partnering with executive leader-ship to develop a broad range of organizational improvements, including; risk mitigation, cost management; and training and development. She supports her portfolio of clients in the areas of operational excellence, business development, strategy development and execution, technology optimization, human resource skills alignment and business roadmap execution. Vicki’s clients include Georgia Public Broadcasting, UNC-TV, WPBA Broadcasting, KAI Design & Build, Media Brokers International, and Delta Airlines. To book Vicki Hamilton as a Keynote Speaker for your next event, please use the booking button listed above.